Eric G. (words in green) is a Catholic. Ken Temple (words in blue) is a Baptist. My older words will be in purple. Your point that the Protestants were off on science is well taken. Could you provide us with the exact references to where they wrote that stuff? I just lost a good two hours of work, wherein I provided documentation of all the Protestants-and-lousy-science quotes or statements that I made in my short Galileo paper, with some new related material. But my computer froze up and I lost all of it. 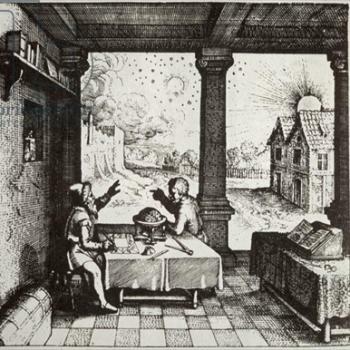 In any event, most of the further documentation you are looking for can be found in my paper, “Early Protestant Hostility Towards Science.” I also did some spontaneous research on Philip Melanchthon’s fascination with astrology. Much material can be found on that by doing a search on Google: “Melanchthon astrology.” That he was an avid advocate cannot be disputed at all. You’ll see how many relevant pages come up. I even found that he got the prominent Lutheran theologian Martin Chemnitz (1522-86) interested in astrology as well. And someone’s point was good, that Protestants never claim infallibility for them, so that is moot. I never said that they did (not in the sense that we do), though I have argued that Luther and Calvin claimed what I call a de facto infallibility, since they could never be wrong (they exhibited an utter dogmatism in the very worst sense of the word), were willing to radically oppose many many received Christian doctrines (as if tradition and overwhelming historical consensus counts for nothing whatsoever within Christianity), and regarded dissenters from their views as wretched heretics and (often) damned as well. My point (as already explained in another post) was, rather, to show that Protestants were far more anti-science, and for a longer period, than Catholics ever were, in order to offset the myth that the early Protestants were somehow more open to the rapidly-developing science. This was a sub-theme of my book section on Galileo (especially in its revised version), and depends not one whit on any supposed claim to infallibility. So your claim that my supposed moot point was moot is itself moot and a complete non sequitur with regard to my actual argument. :-) Nice try, though. Someone pointed out that the judgments on Galileo were stronger than what you indicated. Can we see some of those? The proposition that the Sun is the center of the world and does not move from its place is absurd and false philosophically and formally heretical, because it is expressly contrary to Holy Scripture. The proposition that the Earth is not the center of the world and immovable but that it moves, and also with a diurnal motion, is equally absurd and false philosophically and theologically considered at least erroneous in faith. But whereas it was desired at that time to deal leniently with you, it was decreed at the Holy Congregation held before His Holiness on the twenty-fifth of February, 1616, that his Eminence the Lord Cardinal Bellarmine should order you to abandon altogether the said false doctrine and, in the event of your refusal, that an injunction should be imposed upon you by the Commissary of the Holy Office to give up the said doctrine and not to teach it to others, not to defend it, nor even to discuss it; and your failing your acquiescence in this injunction, that you should be imprisoned. In execution of this decree, on the following day at the palace of and in the presence of the Cardinal Bellarmine, after being gently admonished by the said Lord Cardinal, the command was enjoined upon you by the Father Commissary of the Holy Office of that time, before a notary and witnesses, that you were altogether to abandon the said false opinion and not in the future to hold or defend or teach it in any way whatsoever, neither verbally nor in writing; and upon your promising to obey, you were dismissed. And in order that a doctrine so pernicious might be wholly rooted out and not insinuate itself further to the grave prejudice of Catholic truth, a decree was issued by the Holy Congregation of the Index prohibiting the books which treat of this doctrine and declaring the doctrine itself to be false and wholly contrary to the sacred and divine Scripture. And whereas a book appeared here recently, printed last year at Florence, the title of which shows that you were the author, this title being: “Dialogue of Galileo Galilei on the Great World System:”; and whereas the Holy Congregation was afterward informed that through the publication of said book the false opinion of the motion of the Earth and the stability of the Sun was daily gaining round, the said book was taken into careful consideration, and in it there was discovered a patent violation of the aforesaid injunction that had been imposed upon you, for in this book you have defended the said opinion previously condemned and to your face declared to be so, although in the said book you strive by various devices to produce the impression that you leave it undecided, and in express terms as probably: which, however, is a most grievous error, as an opinion can in no wise be probable which has been declared and defined to be contrary to divine Scripture. Therefore by our order you were cited before this Holy office, where, being examined upon our oath, you acknowledged the book to be written and published by you. You confessed that you began to write the said book about ten or twelve years ago, after the command had been imposed upon you as above; that you requested license to print it without, however, intimating to those who granted you this license that you had been commanded not to hold, defend, or teach the doctrine in question in any way whatever. You likewise confessed that the writing of the said book is in many places drawn up in such a form that the reader might fancy that the arguments brought forward on the false side are calculated by their cogency to compel conviction rather than to be easy of refutation, excusing yourself for having fallen into an error, as you alleged, so foreign to your intention, by the fact that you had written in dialogue and by the natural complacency that every man feels in regard to his own subtleties and in showing himself more clever than the generality of men in devising, even on behalf of false propositions, ingenious and plausible arguments. And a suitable term having been assigned to you to prepare your defense, you produced a certificate in the handwriting of his Eminence the Lord Cardinal Bellarmine, procured by you, as you asserted, in order to defend yourself against the calumnies of your enemies, who charged that you had abjured and had been punished by the Holy Office, in which certificate it is declared that you had not abjured and had not been punished but only that the declaration made by His Holiness and published by the Holy Congregation of the Index has been announced to you, wherein it is declared that the doctrine of the motion of the Earth and the stability of the Sun is contrary to the Holy Scriptures and therefore cannot be defended or held. And, as in this certificate there is no mention of the two articles of the injunction, namely, the order not “to teach” and “in any way,” you represented that we ought to believe that in the course of fourteen or sixteen years you had lost all memory of them and that this was why you said nothing of the injunction when you requested permission to print your book. And all this you urged not by way of excuse for your error but that it might be set down to a vainglorious ambitions rather than to malice. But his certificate produced by you in your defense has only aggravated your delinquency, since, although it is there stated that said opinion is contrary to Holy Scripture, you have nevertheless dared to discuss and defend it and to argue its probability; nor does the license artfully and cunningly extorted by you avail you anything, since you did not notify the command imposed upon you. 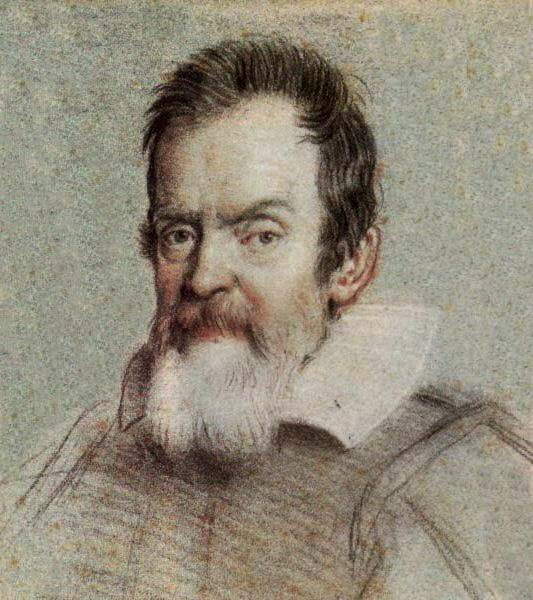 We say, pronounce, sentence, and declare that you, the said Galileo, by reason of the matters adduced in trial, and by you confessed as above, have rendered yourself in the judgment of this Holy Office vehemently suspected of heresy, namely, of having believed and held the doctrine – which is false and contrary to the sacred and divine Scriptures – that the Sun is the center of the world and does not move from east to west and that the Earth moves and is not the center of the world; and that an opinion may be held and defended as probably after it has been declared and defined to be contrary to the Holy Scripture; and that consequently you have incurred all the censures and penalties imposed and promulgated in the sacred canons and other constitutions, general and particular, against such delinquents. From which we are content that you be absolved, provided that, first, with a sincere heart and unfeigned faith, you abjure, curse, and detest before use the aforesaid errors and heresies and every other error and heresy contrary to the Catholic and Apostolic Roman Church in the form to be prescribed by us for you. And in order that this your grave and pernicious error and transgression may not remain altogether unpunished and that you may be more cautious in the future and an example to others that they may abstain from similar delinquencies, we ordain that the book of the “Dialogues of Galileo Galilei” be prohibited by public edict. 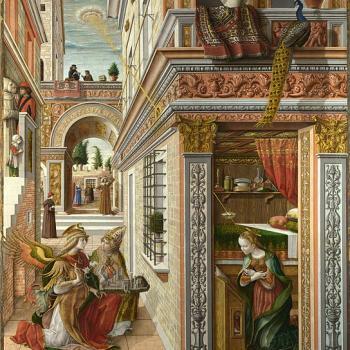 We condemn you to the formal prison of this Holy office during our pleasure, and by way of salutary penance we enjoin that for three years to come you repeat once a week at the seven penitential Psalms. Reserving to ourselves liberty to moderate, commute or take off, in whole or in part, the aforesaid penalties and penance. And so we say, pronounce, sentence, declare, ordain, and reserve in this an din any other better way and form which we can and may rightfully employ. Source: Giorgio de Santillana, The Crime of Galileo (University of Chicago Press 1955), pp. 306-310. How did the Roman Catholic Church at the time of Galileo know that the Pope’s discipline of Galileo was not infallible? 1. It wasn’t made by a pope. 2. It wasn’t made by an ecumenical council (in agreement with, or ratified by a pope). 3. No accepted formula was expressed, in which all Catholic faithful were bound to hold this opinion as an article of the Catholic faith. 4. Even if #3 were true, the condemnation would be neither binding on all the faithful nor infallible, because of the source of the statement (per #1 and #2). 5. It had nothing truly to do with faith and morals (which Vatican I made clear was the subject of infallible declarations): meaning theology and ethical and moral issues. Now, you will no doubt quibble with #5 (and #3, but that is eliminated by #4), but the astronomical details of the earth do not in any way constitute a point of theology. This particular tribunal was obviously gravely mistaken in both its science and in its biblical hermeneutics, but not in theology, because this isn’t a theological point in the first place. And since it is not (nor is it a moral matter), it cannot possibly be an ex cathedra or infallible statement. It’s simply wrong, period, through and through, but this has no bearing on the Catholic doctrine of infallibility because the conditions for same were not met, per #1-5 above. The description “heresy” in the sentence is very unfortunate because, again, this dealt with no doctrine of the Catholic faith; only with a philosophical / scientific tenet (then categorized within the accepted Aristotelian cosmology, which turned out to be dead-wrong on this point). It’s a classic case of regarding something as dogma which had no business being dogma in the first place (but this tribunal didn’t “make” any dogma because it had no authority to do so). Earlier popes saw nothing “heretical” about Copernicanism; this was simply a stupid temporary diversion from solid thinking by a group of philosophical reactionaries. It is fine for the RCC to centuries or decades or years later declare that something was wrong, etc. ; but how do they know for sure at the time? When he teaches the whole Church as shepherd, in general matters of faith and morals, then there is nothing but doctrine and truth. And in fact everything a king says is not a law or an edict, but that only which a king says as king and as a legislator. So everything the Pope says is not canon law or of legal obligation; he must mean to define and to lay down the law for the sheep, and he must keep the due order and form. We must not think that in everything and everywhere his judgment is infallible, but then only when he gives judgment on a matter of faith in questions necessary to the whole Church; for in particular cases which depend on human fact he can err, there is no doubt, though it is not for us to control him in these cases save with all reverence, submission, and discretion. Theologians have said, in a word, that he can err in questions of fact, not in questions of right; that he can err extra cathedram, outside the chair of Peter. that is, as a private individual, by writings and bad example. But he cannot err when he is in cathedra, that is, when he intends to make an instruction and decree for the guidance of the whole Church, when he means to confirm his brethren as supreme pastor, and to conduct them into the pastures of the faith. For then it is not so much man who determines, resolves, and defines as it is the Blessed Holy Spirit by man, which Spirit, according to the promise made by Our Lord to the Apostles, teaches all truth to the Church. We teach and define that it is a dogma divinely revealed: that the Roman Pontiff, when he speaks ex cathedra, that is, when, in discharge of the office of pastor and teacher of all Christians, by virtue of his supreme Apostolic authority, he defines a doctrine regarding faith or morals to be held by the universal Church, is, by the divine assistance promised to him in Blessed Peter, possessed of that infallibility with which the divine Redeemer willed that His Church should be endowed in defining doctrine regarding faith or morals; and that, therefore, such definitions of the Roman Pontiff are of themselves, and not from the consent of the Church, irreformable. Is not the infallibility dogma suppossed to provide the church and the people with an umpire who can walk into the room and say, “Thus says the Lord”, and give the right interpretaion on the spot to settle the controversy? Yes. Obviously, then, this issue was not considered important enough for the pope to make any statement at all, let alone an infallible one. How does that solve issues at the time, when many times it takes 2-300 years before the RCC will rule on an issue? You make the very common mistake of confusing infallibility in the ordinary magisterium with ex cathedra statements. interpretations or Extra-biblical doctrines, dogmas? How does anyone know the list is infallible? By consulting what the Church has said about it, in councils and catechisms, and in her greatest theologians. There are some complexities, but we would fully expect this, just as there are tons of complexities also with what all “traditional” Christians accept is an infallible Bible. There are seeming contradictions or difficulties or mysteries, but no Protestant like yourself stops believing in biblical infallibility because of those. So why do you demand a much-higher standard and perfect knowledge of us when it comes to papal infallibility? Some say only two statements are infallible or three? Thos are ex cathedra statements (the very highest level of authority). But there are also infallible statements which are not ex cathedra. Are there any others, except for Biblical statements, like Jesus is God, etc. There was no need for such a statement on that, as it was always understood as true in the Church from the beginning, as seen in, e.g., the famous Creeds. This typical reply still won’t do, as the very Churchmen who, with papal approval, condemned Galileo, did so on the grounds that he was contradicting an article of faith: i.e. the Scriptural teaching of geocentrism. In other words, Catholics in the 16th/17th century did see this as a matter of faith, not simply one of secular science. Seven Cardinals on one tribunal saw things that way. Big wow. Ho hum. That hardly generalizes to all Catholics. As I noted in one reply, the majority of Catholic intellectuals were on Galileo’s side. The history of the Church and science in the previous hundred years proves that this incident was a temporary aberration in an otherwise great record in scientific matters. Indeed, many (non-Catholic) scholars hold that St. Thomas Aquinas and Scholasticism was largely accountable for the intellectual atmosphere and pedigree within which modern science began to flourish. 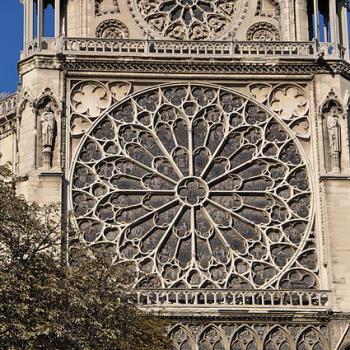 It is no accident that this occurred in the High Middle Ages, primarily in Catholic western Europe. The pope of the time (Urban VIII) may have approved this ridiculous decree informally, but he did not place his formal approval on it or declare it as a binding belief, so all this is much ado about nothing. Sure, some people were falsely “led” by the decree, but it has no bearing on infallibility; no relation to it at all. As for it being a matter of faith, again (apart from the question of the level of their authority within the Church) they were simply mistaken. They wrongly believed that the Bible taught a stationary earth at the center of the universe (along with the misguided hermeneutical principles involved therein, such as the fact of habitual phenomenological language in the Bible), but that was never declared as dogma, nor is it a doctrine of the faith. You disagree? Fine; then take up Patrick Madrid’s challenge and produce an unequivocal infallible Catholic document to that effect (this does not qualify) . I won’t hold my breath. Moreover, simply being in the Bible doesn’t make something an article of faith. The Bible mentions all kinds of historical relative trivialities that make no part of the faith itself; they are merely recording historical events. You mean to tell me that a decree of the Holy Office, approved by the Pope, and inclusion of a work on the Forbidden Index, has nothing to do with the Ordinary Magisterium? Galileo. 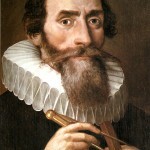 As to the Galileo affair, it is quite enough to point out the fact that the condemnation of the heliocentric theory was the work of a fallible tribunal. The pope cannot delegate the exercise of his infallible authority to the Roman Congregations, and whatever issues formally in the name of any of these, even when approved and confirmed in the ordinary official way by the pope, does not pretend to be ex cathedra and infallible. The pope, of course, can convert doctrinal decisions of the Holy Office, which are not in themselves infallible, into ex cathedra papal pronouncements, but in doing so he must comply with the conditions already explained — which neither Paul V nor Urban VIII did in the Galileo case. Conclusion. The broad fact, therefore, remains certain that no ex cathedra definition of any pope has ever been shown to be erroneous. * the pope himself separately. Through the first of these is exercised what theologians describe as the ordinarium magisterium, i. e. the common or everyday teaching authority of the Church; through the second and third the magisterium solemne, or undeniably definitive authority. Practically speaking, at the present day, and for many centuries in the past, only the decisions of ecumenical councils and the ex cathedra teaching of the pope have been treated as strictly definitive in the canonical sense, and the function of the magisterium ordinarium has been concerned with the effective promulgation and maintenance of what has been formally defined by the magisterium solemne or may be legitimately deduced from its definitions. Even the ordinarium magisterium is not independent of the pope. In other words, it is only bishops who are in corporate union with the pope, the Divinely constituted head and centre of Christ’s mystical body, the one true Church, who have any claim to share in the charisma by which the infallibility of their morally unanimous teaching is divinely guaranteed according to the terms of Christ’s promises. . . . the pope’s supremacy is also an essential factor in the constitution of an ecumenical council – and has in fact been the formal and determining factor in deciding the ecumenicity of those very councils whose authority is recognized by Eastern schismatics and Anglicans . . .
I’ll remember that the next time I read something out from the Vatican. I hope you’ll remember the above clarification, so you will make the necessary and crucial distinctions that you have failed to make with regard to Galileo. But if you simply choose to disregard these distinctions of Catholic ecclesiology, then your problem lies in other areas (dissent; excessive private judgment to the point of disagreeing with clear Church teachings). Where is this written at the time of the 1870 dogma of infallibility?? What practical good or usefulness is the infallibility dogma, if it does not work all the time at the time? It doesn’t apply to this matter, so your comment is utterly irrelevant as regards Galileo. “Catholics are human”, you wrote — Exactly! Indeed, this farcical document is an exemplary example of that. The church is human, prone to errors and sins. At a sub-infallible level, yes, of course. That same Holy Scripture teaches that the Jerusalem council was infallible (Acts 15:29-30), so that is now God, His Word, and the first Christian council, so you are already mistaken. And prophets were even more than infallible: they routinely made inspired utterances right from God. And this was true long before their words were ever written down as part of Scripture, and before the same Scripture was canonized. Your beef is with God, not Catholics. It didn’t have to be written down to have authority. This is what Protestants don’t get. Paul taught that his oral teaching was equally as authoritative as his written word (2 Tim. 1:13-14; 2:2). Apostles were infallible, too, before their word was inscripturated, so (I hate to break the news to you, but) you are wrong yet again. The council of Jerusalem was also infallible and binding, and proclaimed as such, before it was recorded in the book of Acts. Everything is here that Catholics believe! I fail to see what else we need to produce from Scripture in order to prove that infallibility is a biblical notion. 26: But an angel of the Lord said to Philip, “Rise and go toward the south to the road that goes down from Jerusalem to Gaza.” This is a desert road. 28: and was returning; seated in his chariot, he was reading the prophet Isaiah. 31: And he said, “How can I, unless some one guides me?” And he invited Philip to come up and sit with him. 2 Peter 3:15-16: . . . So also our beloved brother Paul wrote to you according to the wisdom given him, speaking of this as he does in all his letters. There are some things in them hard to understand, which the ignorant and unstable twist to their own destruction, as they do the other scriptures. Jesus said the principle of apostolicity (as a condition for the written word of the NT) was from Himself and His word in John 17:8 – the words that the Father gave to Him, He then gave those words to the apostles. And they wrote gospels and letters, etc. Yeah, sure, they did. But this passage has nothing directly to do with the written word. It says nothing about that, so it is a case of more of your wishful eisegesis. Jesus simply says that He communicated divine words to the disciples. Every time some overzealous Protestants see “word” in the Bible they think “Bible”, but of course, it is more often than not referring to oral preaching, not the written divinely-inspired word. It’s just more of the patented Protestant lightning-quick biblical interpretation without properly thinking about the context and intent of the passage: the rush to produce yet another alleged “prooftext” when there is none to be had for false Protestant teachings. What in the world does this have to do with the Protestant invention of sola Scriptura, pray tell? The only sure way of knowing the apostolic deposit is the written word, the Holy infallible Scriptures. Then how can the Jerusalem council be binding and infallible? You tell me. The truth was arrived at infallibly with the guidance of the Holy Spirit,by men gathered together, then preached orally. John 17:17, Psalm 119, John 10:35, 2 Timothy 3:16-17. John 17:17: “Thy word is truth.” That can be oral or written. Usually in Scripture (esp. the Old Testament) it meant oral proclamation of the word of God (i.e., from prophets or Lawgivers like Moses). In any event, no sane Christian denies that God’s word (whether oral or written) is “truth,” so what’s the point? It helps not one whit to determine whether sola Scriptura is true. It just states truisms that we all accept. The folly in the standard Protestant “arguments” for this false doctrine are never-ending. Psalm 119: the same applies: “word” is not restricted to the written word or the Bible. As to the “law” and “statutes,” etc., for most Jews these were oral proclamations, and of course, mainstream Judaism of that time and in the Pharisaical school accepted authoritative oral tradition as well as the Torah, whch they believed was given to Moses on Mt. Sinai in addition to the Ten Commandments and the rest of the Law. 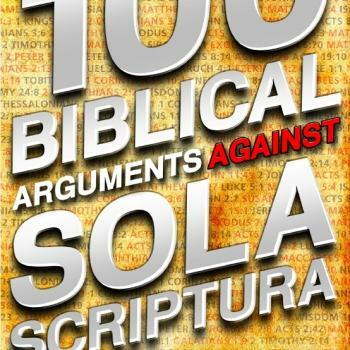 So again a big zero as to supposed sola Scriptura. The Jews didn;t bwelieve in it any more than the NT writers did. It was a novel invention of Luther, because he had no other choice, having ditched the authority of the Church and having refused to submit to it. John 10:35: “scripture cannot be broken.” Of course it cannot. All agree on this; it has nothing to do with the unbiblical notion of sola Scriptura. 2 Timothy 3:16-17: at least this is about the Bible, for a change, but all it does is teach that Scripture is great and wonderful (as all Christians agree again). it doesn;t say that it alone is the infallible authority. Paul in the very same letter teaches the infallibility of his oral teaching (1:13-14; 2:2). Besides appealing to the Scriptures, the fathers, particularly Irenaeus and Tertullian, refer with equal confidence to the “rule of faith;” that is, the common faith of the church, as orally handed down in the unbroken succession of bishops from Christ and his apostles to their day, and above all as still living in the original apostolic churches, like those of Jerusalem, Antioch, Ephesus, and Rome. Tradition is thus intimately connected with the primitive episcopate. The latter was the vehicle of the former, and both were looked upon as bulwarks against heresy. Irenaeus confronts the secret tradition of the Gnostics with the open and unadulterated tradition of the catholic church, and points to all churches, but particularly to Rome, as the visible centre of the unity of doctrine. All who would know the truth, says he, can see in the whole church the tradition of the apostles; and we can count the bishops ordained by the apostles, and their successors down to our time, who neither taught nor knew any such heresies. Then, by way of example, he cites the first twelve bishops of the Roman church from Linus to Eleutherus, as witnesses of the pure apostolic doctrine. He might conceive of a Christianity without scripture, but he could not imagine a Christianity without living tradition; and for this opinion he refers to barbarian tribes, who have the gospel, “sine charta et atramento,” written in their hearts. What will happen if they find archeological and scientific evidence that the 1950 dogma of the Bodily Assumption of Mary was wrong? A similar thing as what would happen if they found archeological evidence that Jesus didn’t rise from the dead (see 1 Cor. 15:13-15). I don’t expect the body of Mary to be found anymore than I (or you) expect the Body of Jesus to be found. If it is (and it would require very serious proof), then I’ll cross that bridge when I come to it. How’s that? Will they say, “well, the infallibility charism does not protect mistakes in science” ?? No, they say that now. What would that have to do with science? The Assumption is a proclamation concerning the faith and theology in the first place. Being confirmed or not confirmed by science is not the same thing as something being classified under science. This is a totally sincere question. And a totally sincere answer . . . thanks for the interaction and the opportunity and blessing to again be able to show that Catholicism has solid, plausible answers for all these Protestant arguments. What would a good Catholic have had to have done in order to be in good standing with the Church after the issuing of this papally-approved decree from the Holy Office? Granted it’s not infallible, doesn’t this lend credence to the oft-claimed mantra of the dissenterrs, that the Church need not be obeyed in a non-infallible matter, if one’s conscience judges otherwise, since the Church could very well be wrong? What would a good Catholic scientist have to do in order to be a good Catholic according to these Vatican decrees, which forbid the mere holding of the belief that the earth revolves around the sun? And why should I lend more credence to any other non-infallible decree that comes from the Vatican? Please note that I am a 100% orthodox Catholic, and a huge devotee of the Tridentine Latin Mass. I’m simply playing Devil’s Advocate to a question that no Catholic seems to be able to answer, without diverting to bashing Protestants or defending the Church’s overall positive role in the development of science, two points which I have otherwise never disputed. The Catechism of the Catholic Church, which I approved June 25th last and the publication of which I today by virtue of my Apostolic Authority, is a statement of the Church’s faith and of catholic doctrine, attested to or illumined by Sacred Scripture, the Apostolic Tradition, and the Church’s Magisterium. I declare it to be a sure norm for teaching the faith . . . This catechism is given to them that it may be a sure and authentic reference text for teaching catholic doctrine . . . showing carefully the content and wondrous harmony of the catholic faith . . . . offered to every individual . . . who wants to know what the Catholic Church believes. I showed, painstakingly, how the magisterium had nothing to do with the Galileo decree. The Church has never definitively declared on geocentrism. So you have mis-defined magisterium in this instance. Once it is properly defined, there is no issue for infallibility. I do agree, however, that there is somewhat of a dilemma for a Catholic who knew that the Galileo sentence was incorrect. I would say that in such a situation one would have to simply hold the view privately, in good conscience, and hope that better minds and reasoning would eventually win the day in the Church (as indeed happened). This mistake occurred because the tribunal (again, not the Catholic magisterium) involved had a lousy view of biblical exegesis and the relationship of science and faith. But since the Church is not divinely-protected in matters of fine points of science, which is out of her purview, this tribunal was going beyond its prerogatives and was exceeding its authority. That doesn’t cast doubt on Catholic authority itself, rightly-understood, but only on this particular body, which made a dumb and mistaken proclamation. Galileo was a relatively isolated incident. One shouldn’t judge the record of the Church or her trustworthiness based on an anomaly such as this, involving a body that didn’t really speak definitively for the Church in the first place (though I agree that for the layman, it would seem that it was speaking for the Church). One has to go back at this point and consider the role of conscience and the consent of the faithful (sensus fidelium), both of which Cardinal Newman explains in a way which is harmonious with neither Catholic liberalism nor so-called “traditionalism”. Pope John XXII (r. 1316-1334) denied that souls enjoyed the Beatific Vision prior to the Last Judgment, which was contrary to the received opinion up to that time. He was widely opposed by theologians and the masses of laymen, and the doctrine was defined against his view by his successor, Benedict XII, in 1336. So Pope John XXII was a heretic in that regard, but he didn’t define the doctrine; therefore papal infallibility was again not relevant, as with Honorius. That popes can possibly err in theology, privately, as individual persons, is a notion freely accepted by Catholics. So the Galileo incident would be somewhat analogous to this one, except that the tribunal had less authority. The conditions for infallibility were not met in either case. Laypeople opposed the pope when he was wrong (on theology), so they could certainly oppose a tribunal when it was wrong (in a mere matter of science). So where’s the beef? In this case, science was developing and the consensus was changing from geocentrism to heliocentrism. It was a unique transitional time, so this error from Catholic cardinals came at a unique time in the development of cosmology. Any belief-system, even one as solid and believable as Catholicism, contains such “difficulties” or things hard to explain. Every belief-system will require a certain “leap of faith” because very few things are absolutely certain, if you want to talk in terms of epistemology and philosophy. 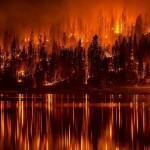 Thus, science has areas of difficulty and anomaly in virtually all of its theories. That doesn’t mean that scientists stop believing in science. They have seen enough for them to grant general assent, including in areas that are insufficiently explained by the state of present scientific knowledge (such as, e.g., what happened before the Big Bang that everyone believes in; what caused that?). As another analogy, Protestants accept the infallibility of the Bible. At the same time, there are a host of “Bible difficulties” that they (and indeed all biblical exegetes) have talked about for 500 years. But that doesn’t erode their faith in an infallible Bible, because it is based on faith in the first place. So I conclude that the dilemma here is not nearly as great as you are making out. It is a mild difficulty and something to work through, and I agree that it is confusing for a layman who is not up on all these fine distinctions. But then again, Catholicism is not a simpleton’s faith in the first place, and requires thought to adequately understand and practice. That gets back to what I do: trying to explain all this stuff in terms accessible to all who have at least a rudimentary understanding of theology and interest in it.